This group is not easy to work. All islands are nature reserves and require the permission of DPAW to land on. 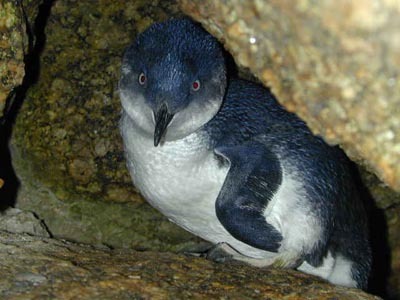 They are also rocky with steeply plunging shore lines making landing hazardous for the inexperienced. 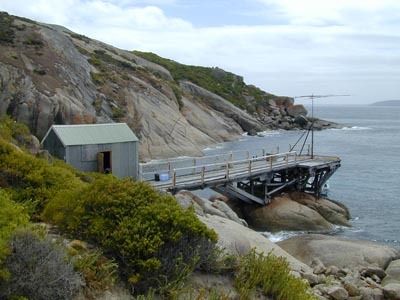 The West OZ DX group visited Breaksea Island in 2001 after obtaining the permission of CALM activating the IOTA for the first time. Breaksea Island is near the town of Albany and we were escorted out to the island by a CALM ranger and made welcome although permission was not granted to roam about the island. We were restricted to a small area around the jetty. 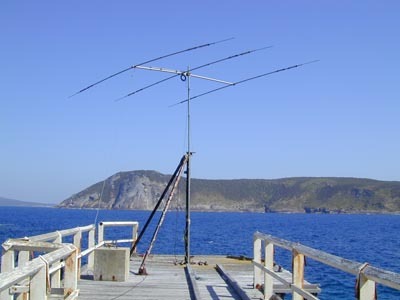 This did not prove to be any hardship as there was a small shed at the end of the jetty that as set up as the operating shack, kitchen and sleeping quarters. The jetty was built to service the early operation of the lighthouse but is now unused except for people like us. The jetty, due to the steeply shelving shores and large tides, consists of a cantilever from the shore into deep water. Landing is either by swiming or swinging off a rope from the jetty. Operation from the shed was easy and our thanks go to CALM for allowing us to use it. 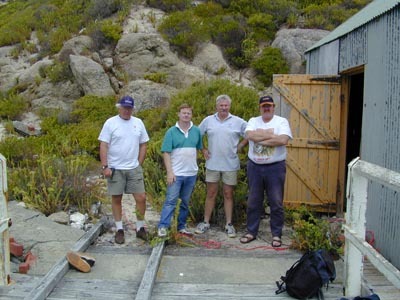 Operators for the trip from the left were Dan VK8AN, Nigel VK6KHD, Wally VK6YS and Bruce VK6CX. The operating aerial was a TH3 Junior of uncertain age lashed to the remains of the crane derrick on the end of the jetty. Equipment was an Icom 706 powered by a small Honda generator that ran flawlessly for the weekend despite finding the sudden load of the transmit key hard to cope with, the lighting dimming in sync with the modulation.